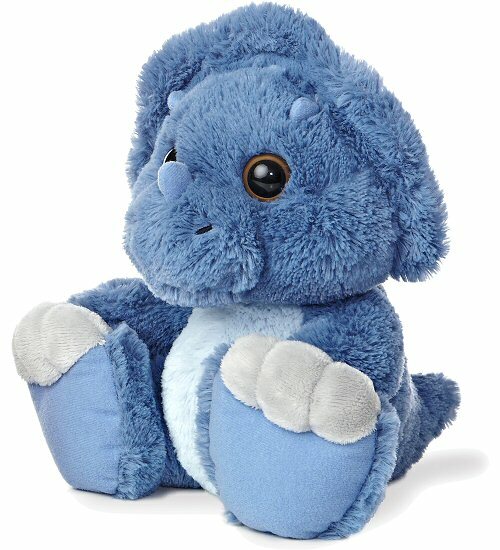 This is Toughie, an adorable Triceratops stuffed animal from the cute and cuddly Taddle Toes collection. This plush Triceratops has awesome oversized feet with gray toes, a wonderfully huggable body, and warm golden-brown eyes. 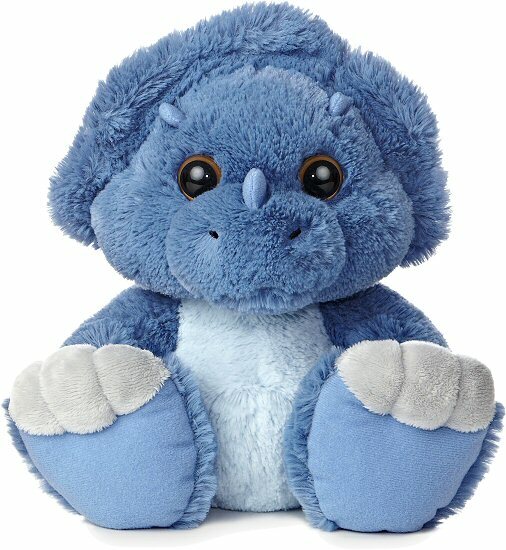 With soft blue fur, light blue tummy of the same soft fur, and three perky horns, you'll love taking this delightful stuffed dinosaur on all of your imaginative adventures.